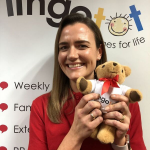 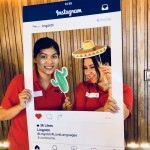 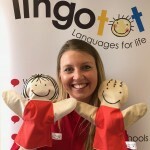 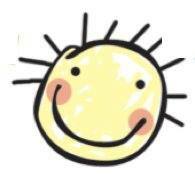 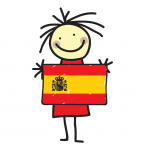 Lingotot is proud to teach our multi award-winning language classes to thousands of children each and every week in the community, schools and nurseries. 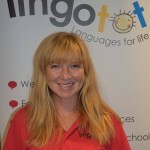 Our tried and tested language programmes were written by Angela Sterling, Lingotot founder and fully qualified teacher whose GCSE students ranked in the top 10 in the world! 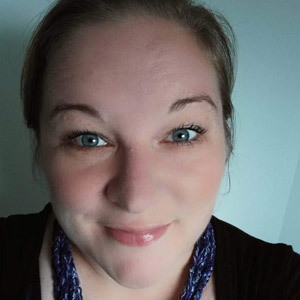 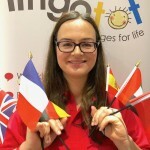 Angela has a keen interest in languages research and worked for Newcastle and Southampton universities researching language acquisition at different ages. 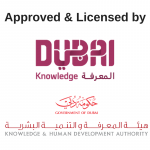 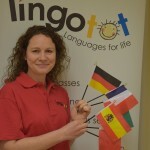 We speak 100% in the foreign language but our skills and expertise ensure everyone understands. 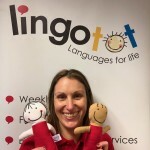 Following our carefully tried and tested methodology, you and your child could leave the very first class responding to the new language. 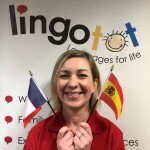 We teach the adults who attend at the same time as the children and you don't have to have any prior knowledge of a language. 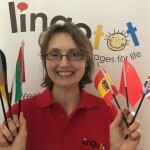 Trust us to lead the whole family through your language-learning journey with our tips on how to continue at home. 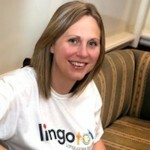 We will never put you on the spot or ask anyone to speak until they are ready! 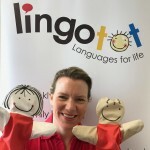 Research suggests that children who know two languages can gain an academic and social advantage over those who speak only one. 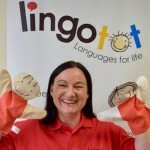 Children have an amazing ability to learn language and this happens best when it is interactive, engaging and child-centered. 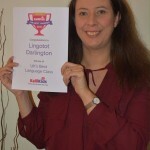 Come along to one of our classes to see natural language learning in practice! 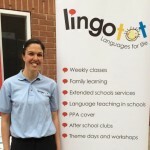 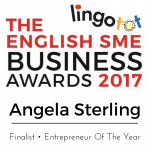 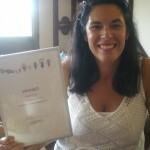 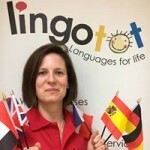 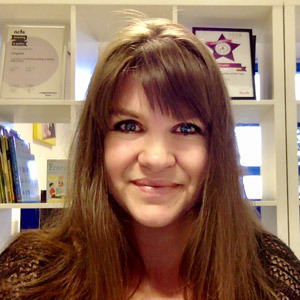 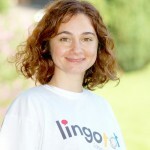 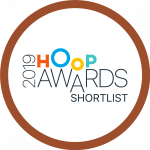 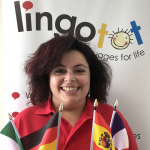 Angela founded Lingotot after working as Head of Languages in schools across the UK and internationally and 3 of her pupils ranked in the top 10 in the world for their GCSEs. 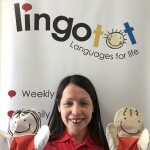 Angela started Lingotot when her eldest daughter was 7 weeks old and franchised as her second daughter arrived. 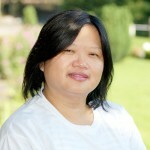 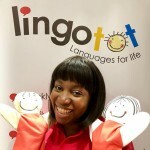 She still loves teaching and also helping franchisees set up their own Lingotot businesses. 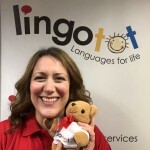 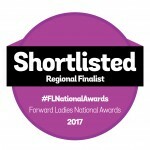 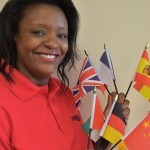 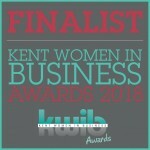 Her drive and passion for languages along with her strong vision and resilience has earned her many awards, she is Regional Chair for EWIF (Encouraging Women into Franchising) and she has even appeared on BBC’s Dragons’ Den! 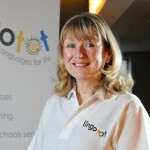 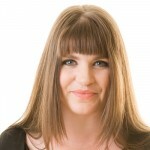 Helen joined the Lingotot family many moons ago as a franchise owner and ran her own very successful franchise. 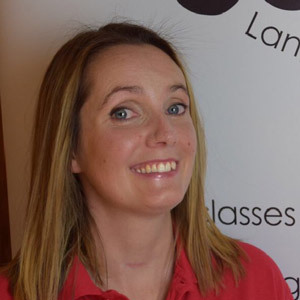 Now Helen supports our franchise owners with anything and everything and always with a kind ear and a smile. 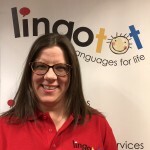 As well as her role here at HQ, Helen continues to teach in community centres, nurseries and schools and is deeply loved by all of the children she meets. 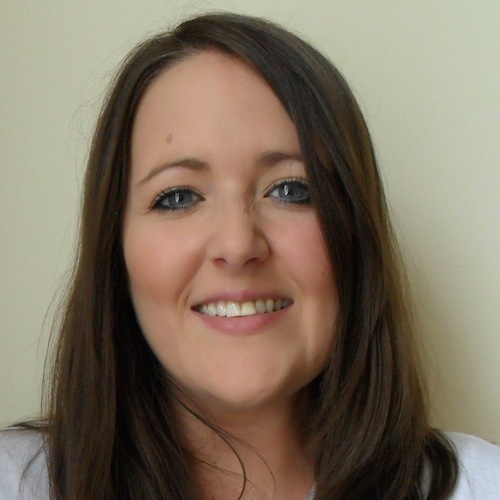 She is a keen photographer, loves to travel and spending time exploring the countryside (and its pubs!) 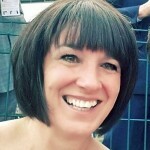 with husband Stu and Amber the dog. 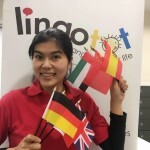 Toni joined the Lingotot family in 2017 and immediately made a big impact. 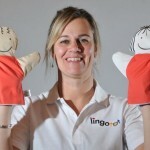 She supports our franchisees with their marketing activity and she is always full of fantastic ideas. 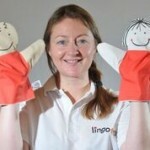 She has a very strong background in marketing, but we mainly love her for her wicked sense of humour! 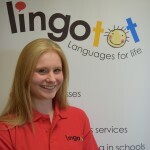 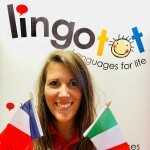 Rachel also joined the Lingotot family a long time ago as an awesome teacher and now heads up our education department. 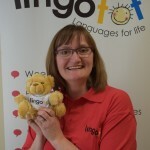 She helps train and support all new Lingotot franchisees and teachers and is in charge of our prestigious accreditation with NCFE. 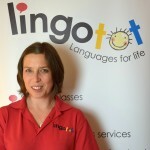 She truly adores teaching and loves inspiring children with a love of languages. 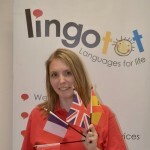 Away from Lingotot Rachel is an awesome mum to Kaitlin and Adam. 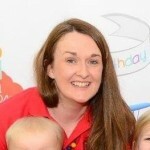 Rachel is super crafty and is always making things with her children, putting most of us to shame! 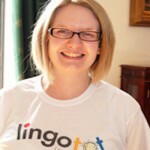 We like to harness her ideas into our lesson plans.